Since 9/11, more than 2 million service people have been deployed overseas, separated from the ones they hold most dear. But the strain of long-distance relationships makes the moment they’re finally reunited that much sweeter. 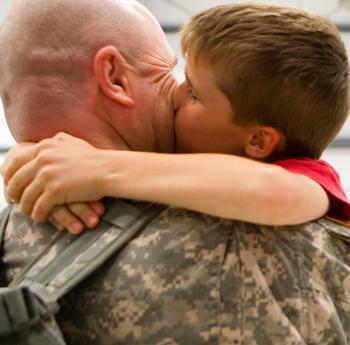 A Memorial Day TV special on Nat Geo channel explores the emotional back-stories behind a new YouTube genre and the best surprise soldier homecoming videos. Premiering tonight, May 28, at 10pm, “Witness: G.I. Homecoming” reveals the emotional stories behind some of the most memorable surprise reunion videos as told by the men and women whose sacrifices made them happen. Weaving together home movies, war zone footage shot by the soldiers themselves and original, first-person accounts, National Geographic Channel tells the story of the families’ journeys up to the moment of their unforgettable reunions. It airs at 10 PM, ET/PT. An older brother who makes it his mission to attend his sister’s college graduation, a husband who has left behind his wife and four young children, a Navy airman who has the chance to surprise her family in front of a stadium full of Red Sox fans — these are the powerful stories of America’s home front. Jessica Freedman always felt protective of her younger brother Eric, but when he joined the Marines and was sent to Helmand Province, one of Afghanistan’s most dangerous regions, Jessica knew she could no longer look out for him the way she used to. 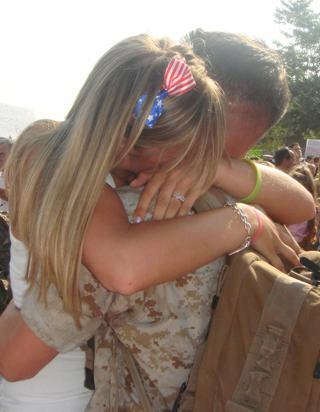 After seven months of deployment, she found out her brother wouldn’t make it home in time for her college graduation. Jessica was devastated and angry: “I probably shouldn’t repeat exactly what I said, but along the lines of, ‘How can they do that? Don’t they know, not don’t they know who I am, but how can you keep him from my graduation? He’s supposed to be here with me.’” But unbeknownst to Jessica, he would make it in time. Watch as the siblings’ surprising, emotional reunion unfolds in front of Jessica’s classmates, family and friends. When Sergeant First Class Jed Lewis re-enlisted in the military after 9/11, it took an emotional toll on his entire family, but Sgt. Lewis felt a strong drive to serve his country. Before deploying to Baghdad, he recorded video messages to each of his four children, creating an intimate, visual record of their father in case he didn’t return. While her husband was overseas, Mindy arranged for the kids to Skype with their father on Christmas and kept a cardboard cutout of him at the dinner table — and the homecoming she planned was equally thoughtful. Home video reveals the priceless expressions on the Lewis children’s faces as the touching, middle-of-the-night reunion unfolds.